Outdoor Building There are 7 products. 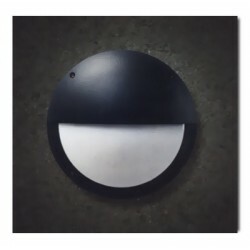 Ceiling/wall mounted circular die-cast aluminium light fitting with front ring cover and vandal resistance UV stabilised polycarbonate diffuser. IP65 weatherproof protection. Overall dimensions 265(dia. )x105mm (U7009) or 360 (dia. )x145mm (U7010). 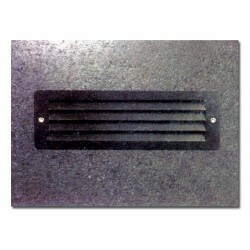 Standard colour in black, dark grey, silver or white colour on request. 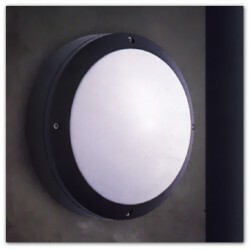 Ceiling/wall mounted circular die-cast aluminium light fitting with front grill cover and vandal resistance UV stabilised polycarbonate diffuser.IP65 weatherproof protection. Overall dimensions 265(dia. )x105mm (U7009/A1) or 360 (dia. )x145mm (U7010/A1). Standard colour in black, dark grey, silver or white colour on request. 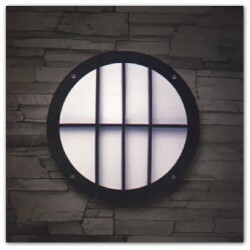 Ceiling/wall mounted circular die-cast aluminium light fitting with front grill cover and vandal resistance UV stabilised polycarbonate diffuser.IP65 weatherproof protection. Overall dimensions 265(dia. )x105mm (U7009/A2) or 360 (dia. )x145mm (U7010/A2). Standard colour in black, dark grey, silver or white colour on request. 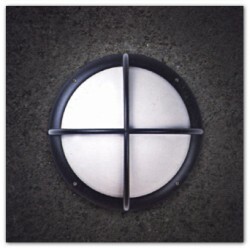 Ceiling/wall mounted circular die-cast aluminium light fitting with front cover and vandal resistance UV stabilised polycarbonate diffuser.IP65 weatherproof protection. Overall dimensions 265(dia. )x105mm (U7009/A3) or 360 (dia. )x145mm (U7010/A3). Standard colour in black, dark grey, silver or white colour on request. 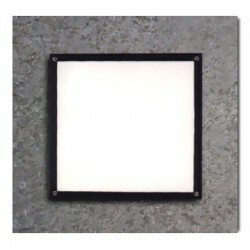 Ceiling/wall mounted square die-cast aluminium light fitting with front frame and vandal resistance UV stabilised polycarbonate diffuser.IP65 weatherproof protection. 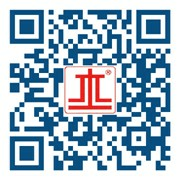 Overall dimensions 270x270mm. Standard colour in black, dark grey, silver or white colour on request. 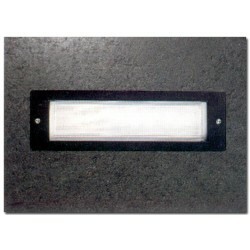 Rectangular flushed mounted path light with die-cast aluminium body and vandal resistance UV stabilised polycarbonate diffuser.IP65 weatherproof protection. Overall dimensions 82x248mm. Standard colour in black, dark grey, silver or white colour on request. Rectangular flushed mounted path light with die-cast aluminium body, anti-glare louvre and internal vandal resistance UV stabilised polycarbonate diffuser.IP65 weatherproof protection. Overall dimensions 82x248mm. Standard colour in black, dark grey, silver or white colour on request.